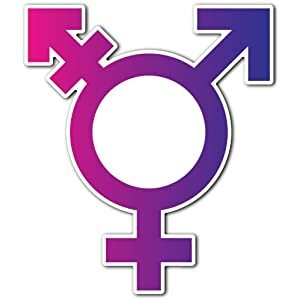 who identifies themselves as transgender. basis, so hurry and reserve yours! This dinner is by invitation ONLY! We are asking all of you to come out and support us, especially Tuesday night which will be held at Imani, MCC in Durham. PLEASE BRING NON-PERISHABLE FOOD ITEMS AND TOILETRIES TO THE SERVICE YOU ATTEND. FINANCIAL DONATIONS WILL ALSO BE RECEIVED. Triangle Empowerment Center, Inc. invites you to our P.E.T. (peers empowered together) Meeting!!! What: A non-formal gathering of a small group of diverse HIV Positive males in Durham, NC. All ages and sexual preferences (who are HIV/AIDS positive) are welcome. There will be a meeting to share life experiences, empowering one another, and to raise the level of conscious thinking to live a healthy lifestyle. We will be providing light refreshments and fellowship. Please R.S.V.P. as soon as possible. Leaving at 5:30 am and returning on that same after the March and Rally. Transportation, food, and a gift card at the end of the march is included. It is a FREE event! Join local and national advocates along with spiritual and political leaders at the KEEP THE PROMISE march and rally in Atlanta. Remind elected officials the fight against HIV/AIDS is not yet won. People of all ages, races, genders, and sexualities are welcome! Contact us for more information about our trip. Contact Keep the Promise 2012 for more information about the March and Rally. Need a change of scenery? Well, we’re inviting YOU to the BEACH! Looking for 10-15 minority MSMs (at least 25 years old or older), to join us. Food, Lodging, & Transportation FREE!! Please contact Triangle Empowerment Center for more information or to sign up at 919-423-8902. Space is limited so get yours while you can!